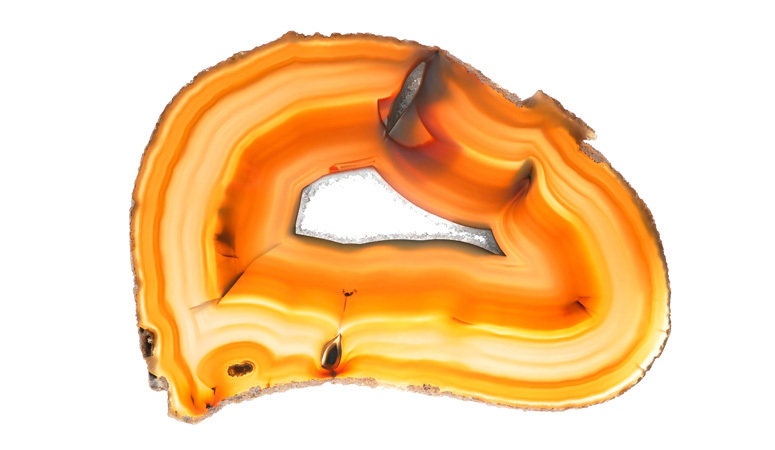 Agate has a lower intensity and vibrates to a slower frequency than other stones, but is highly regarded as a stabilizing and strengthening influence. Its warm, protective properties encourage security, self-confidence and harmony. Agate is also known to balance the masculine and feminine aspects of the energy system; yin and yang. 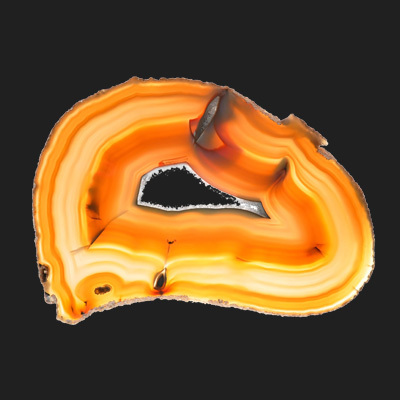 Agate is the name given to numerous varieties of banded Chalcedony, a mineral of the Quartz family. 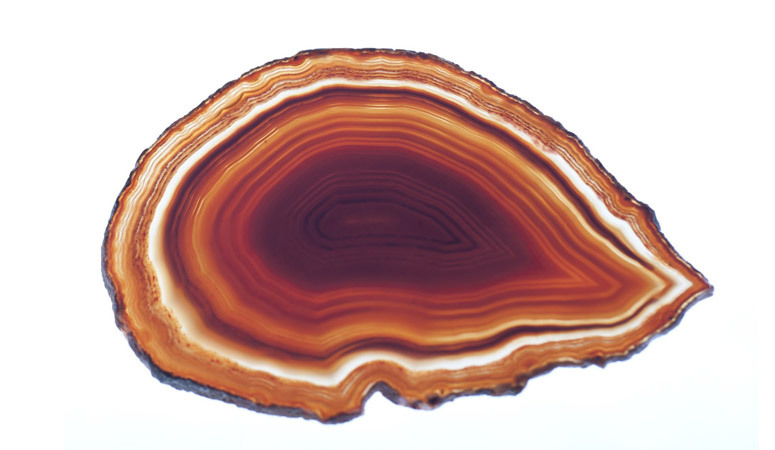 Called the earth rainbow, the concentric bands of Agate form in nearly every color the earth can produce. 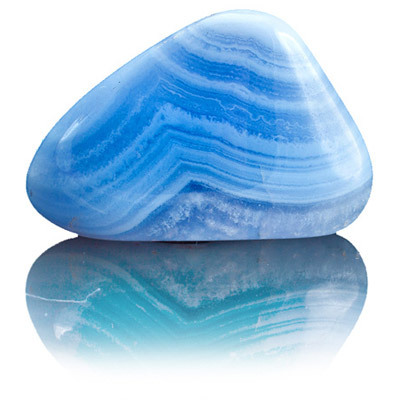 Agate, a long-time symbol of wealth and longevity, has been used for protection and good luck since ancient times. 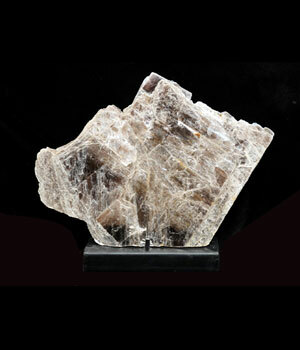 Agates were discovered in the artifacts of Neolithic people and used by the Egyptians before 3,000 B.C. 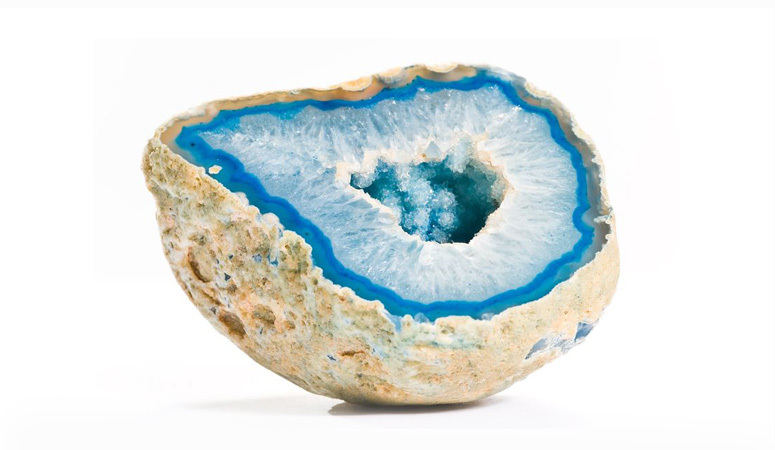 The name Agate comes from the river Achetes in Sicily, where Romans used the stone to grind medicine into powder. In the Middle ages Agates were used to cure fevers and in ancient India they were worn as protective amulets.